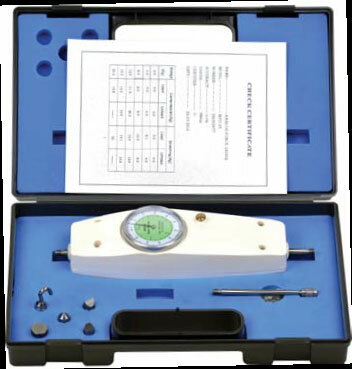 So simple anyone can use, the economical MFD mechanical force gauges with dual kg/lb scales are excellent for push/pull force testing in manufacturing, material testing, maintenance and inspection applications. The peak force operation mode features an easy push-button reset, especially helpful for repetitive testing in an assembly line or in quality control. 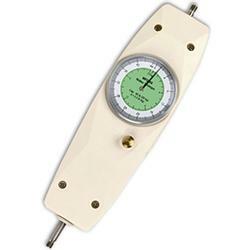 The large dial indicator allows viewing of force changes as they occur. This large dial reduces the chance for parallax errors when taking readings. The MFD was ergonomically designed for handheld use, but may also be used with the optional handle-great for loads over 15 pounds (6.8 kg). 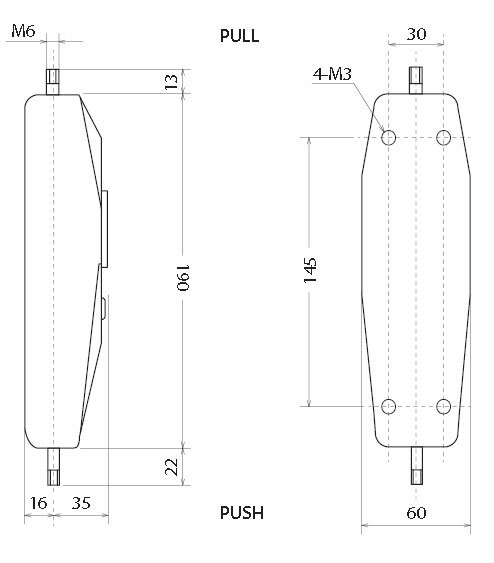 Due to its mechanical design, response time is immediate. Calibration is achieved by a set of precisely matched springs which are overload protected. 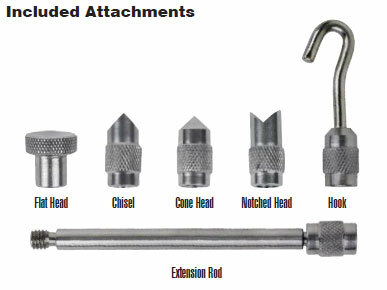 All standard Series MFD gauges include a protective carrying case, calibration certificate, plus attachment adapters.